IN this interview with the re-elected President of the International Civil Aviation Organization (ICAO) Council, Dr. Olumuyiwa Bernard Aliu he speaks on a number of issues from the growth of the industry to liberalization of the African skies as well as the burning concession issue in Nigeria, giving an objective analysis on what he believes are ways to grow the industry in Nigeria and the world over. You have been elected to preside over the affairs of global civil aviation for another three years by the council, how do you feel about this renewed responsibility? I feel honoured. I feel privileged to be elected by the Council for another three years and I look forward to the work we are going to do. And with a lot of vigour, a lot of optimism and hope, it will give us the opportunity to continue what we have been doing and to consolidate some of the progress we have made in the past few years and to address the dynamic challenges of the industry. Talking about the challenges of the industry, how will you describe the last three years? The last three years have been eventful to some extent. That is what is expected in the aviation industry. It is a dynamic industry. If you recall, we have a number of issues we did not anticipate, the MH370 incident, MH17, the Ebola Virus, the Zika Virus. There are a number of issues that came up that created emergency situation for us. What we were able to demonstrate is that ICAO can be very responsive to these issues to address them and I am very pleased at the collaboration that I have with ICAO Council and the global aviation community to address some of those event. Uniting Aviation has been the slogan of ICAO. If you were to do an analysis, will you say we have done quite well with that? The industry is very united. All our 191 member states, the industry organizations, the civil societies. I have collaborated with a quite well. The point to remember is the adoption recently at our assembly of the CORSIA. The global MBM scheme, the Market-Based Measure scheme that we adopted to address the challenges of aviation emission. That is an unprecedented outcome. It is historic and it was a challenging discussion that took place over number of years. It requires unity of purpose and collaboration between the states, the industry and the civil societies to get it accomplished. It is the first for any global sector. The CORSIA is aimed at addressing the emissions in the international civil aviation. That project, how well was it received? It was well received. If you know that any issues with respect to climate change draw some contradictions which means social development. There is also the need to ensure the growth of civil aviation. But also, to address the sustainability of our operations for future generation. So, there were a number of concerns but we were able to work through to establish the Carbon Offsetting and Reduction Scheme for International Aviation (CORSIA). The Strategic objectives of the Council between 2014-2016 was about Safety, Air Navigation Capacity and Efficiency, Security & Facilitation, Economic Development of Air Transport, and Environmental Protection. How has the Council performed on these objectives and how will you rate the success? I think the Council has done very well in the circumstances that we have worked. In respect to most of these strategic objectives. One of the key thing we focused on is to ensure that No Country is Left Behind. That is a strategy that was introduced under my leadership and it addresses this challenges of safety, security and all the strategic objectives. I can tell you that the accident rate in the world has dropped and it continues to drop. Even if you look at Africa which use to have very high accident rate by 2015 we had no fatalities. No fatal accident. There were some accidents, about six of them accident but they were not fatal. This is the result of the work we did and we are doing with our member states in Africa, with the industry to address the aviation safety challenges to enhance aviation safety oversight in the continent under the No Country Left Behind initiative. With respect to aviation security, significant improvement has been made. Yes, we have few incidents but you know that there are a lot of people as it has been mentioned severally that want to use aviation for nefarious activities. Some of these issues were beyond our control but suffice to say that we have taken rigorous steps to prevent such incidents occurrence in the future. In the area of air navigation efficiency and capacity, this is in at enhancing capacity at the airports, in the airspace management. Many of our states are now working on all of these issues. There are expansions, projects being done at the airports and for the air traffic management as well, because we anticipate that in the next 15years aviation traffic will double. Right now, we have 3 billion passengers there about. A little bit more than 3 billion passengers travelling every year. It will increase to about 6 billion. We have 30 million flights annually, it will increase to 60 million. The import of that is that we need to double our capacity. We need to ensure that we enhance our efficiencies, so that there are no traffic delays. We reduce congestions. That is what that strategic objectives aim at and a lot work is being done in this. We have developed Global Air Navigational Plan that are being implemented regionally and at the national level, to ensure the interoperable air operation of aircraft. It is on the basis of all those activities that aviation is able to undertake over 100, 000 commercial flights daily, convey more than 9 million passengers everyday safely from one part of the world to another in a seamless manner. Passengers on board the aircraft do not know these but a lot of activities that is ongoing between the airport managers, the air traffic control managers, the safety oversight people working together in a collective manner to ensure the safety and efficiency of operations. In terms of economic development of air transport, the focus has been on air transport liberalization of market access, of ownership and control in order to provide the reliable services that passengers need. We have a programme under which we are progressing on these issues. Also, to protect the interest of consumers, the passengers that are travelling, that they receive the services which they do pay. On the issue of environment, I have mentioned the decision we took in respect to the market based measure, which is one of the elements in the basket of measures we apply to address the aviation emissions and focus on aircraft technology. For example, we reach agreement on a global standard for emission standards for aircraft that will enter into operations starting from 2020. That is another first, for any sector to set that standard. We are enhancing our air traffic management operations to ensure that aircraft burn less fuel, they have more direct routing. We are encouraging the use of sustainable alternative fuels. In addition to all this is the Market-Based Measure which has been acclaimed globally. I was recently in Marrakech at the 22nd Conference of the Parties (COP 22) where I informed them of the decision we took. It was the highlight of the meeting , the global acclamation and acceptance of the work we have done in that area. How will you rate the ‘No Country Left Behind’? It is going on fine. It surpassed my own expectation. The whole world has clocked to it. It has brought international civil aviation very close to our member states particularly the developing states because, the tradition will set the standards than we go about auditing the states that have implemented. The No Country Left Behind expanded our responsibility to cover capacity building, technical assistance to our member states to meet those standards. Not only are we setting the standards and telling them hope they have not done well. Now we are there to offer our hands of assistance to them to meet those requirements, and many of the developing states have been very appreciative of this. This is the job that is done keenly by ICAO but in collaboration we also encourage relationship between the states to work bilaterally to support each other and with other multilateral organizations to address this. During the last assembly, I was pleased to hand out the first Council President’s certificate to acknowledge the progress that has been achieved and fourteen (14) countries from all the regions of the world received the acknowledgement from the Assembly for the progress that has been made under the No Country Left Behind. The next situation of that will cover not only regulatory issues but we want to support our states in developing the aviation infrastructure, necessary to address the needs of today, also the modernization that is required over the next 15 years. What will be the objectives for 2017- 2019? 2017-2019, the same strategic objectives. This is a dynamic industry and there will be dynamic challenges. We have to be ready to address all of this. But like I mentioned under the No Country Left Behind, the next situation in the next three years; there will be a lot of focus on aviation infrastructure development to assist our member states, whether it is for the airport, for air navigational services, capacity building, to enhance regulatory oversight capacity in the states, to provide them more training; training to meet the dynamic changes in technology. New technology systems are going to be installed. Our members have to be trained on this. There will be a lot of focus on that. I also have indicated to the Council, we have to fast-track the development of a global plan on aviation security. Recently, the UN Security Council adopted a resolution to support ICAO in this effort to address aviation security. So, aviation security has become part of global security. And at the national level in every country, aviation security now must be seen as an integral part of national security and address as such; because the security of every nation starts right there at the airport. So, we want to work with our member states to work with our member states to address aviation security. Whether it is in terms of cyber security, landside security, the use of IEDs (Improvised Explosive Device) against aviation; we are going to work with member states on this. At the last Assembly, Carbon Offsetting and Reduction Scheme for International Aviation (CORSIA) was adopted. How do you and the council intend to drive the campaign and achieve maximum result? That is an issue that I am very proud of. It took a lot of my personal time to drive the convergence of states to achieve that monumental result. Now it is the issue of implementation and that is a significant work that we have to do. We will be working with our member states to develop the monitoring review and verification mechanism. We have been working with our member states to establish registries to enhance that system. This is something new. It means the states, ICAO have to establish registries. A lot of infrastructural requirement for this. IT infrastructure systems going into this. We have. We have discussed the improvement which we have to achieve for all the system should be up and running by 2020. Some states have volunteered to participate in the scheme covering about 86.5 per cent of our global international traffic. Right there at the Assembly, they took those decisions, we expect more states to come into the scheme. Although, there are some states that will be exempted like landlocked developing countries, least develop countries and small islands developing states for whom aviation is very important to their socio-economic development, but may not have the resources to do. For those states, we will continue to provide technical assistance and capacity building in order to install the necessary system. 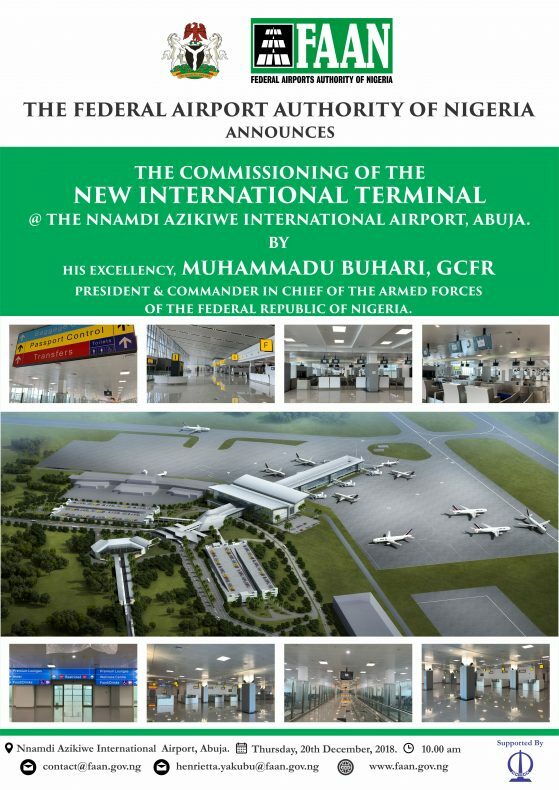 From a professional perspective, what is your take on Nigeria airport concession? When it comes to airport management, there are different schemes all over the world. There are airports that are owned by government, by states. The countries where they are even owned by local government, by private interest where airports are privatized. And there are countries where airports are concessioned. Every country has to review the different management scheme in order to arrive at decision that suit its own particular situation. What I can understand from the little that I have heard about this is that the country is struggling with resources and it’s looking for investors to come and invest. And airports are part of aviation industry where there can be adequate return on investment and you can actually get the interest of international investors to participate. In any process like that, there are issues. There are labour issues for example that need to be reviewed. I am confident that the government in taking decisions will take into consideration all this issues. Airport concession has been done successfully in other parts of the world. I do not see why it should not be the situation in Nigeria if government does not have the resources to continue to manage the airports on its own, when there are competing priorities. The key thing is that you run airport as commercial venture whether it is owned by government or privatize, corporatize or get concessionaires to come and participate. Whatever it is, you can run airport as commercial business and have adequate returns on investment. As far as we are concerned, at ICAO we have offered our support to the government to say if they need our assistance, we are ready to provide the necessary support in whatever decision the government takes. Are you impressed with Aviation reform in Nigeria? As a Nigerian, of course I pay particular attention to what is happening in Nigeria. So I have been in contact with the Minister of State for Aviation, I visited Nigeria, I spoke with the Minister of Transport. His Excellency Mr. President graciously granted me an audience and we discussed a number of issues. I offered some areas of advice and I also extended the support of ICAO to support the policies being developed, being implemented and the programme going forward. What I can say is this, when you look at ICAO as an organization under the programme of No Country Left Behind initiative, we cannot do this on our own. We need regional partners and as far as Africa is concern, Nigeria is our partner and Nigeria is a Regional leader-politically, economically and in aviation as well. So, we are interested in Nigeria being successful in aviation sector and we will continue to work with the government to reposition the industry- in as much as we are invited to support the process. How will you advise Africa which is the last frontier in economic development on how best it can use aviation as a catalyst to develop the continent? If you look at growth aviation over the years for the past 70 years that ICAO has been established, it mirrors exactly the global economic growth. There is a strong correlation between aviation development and economic development. For any country to develop economically, you must pay attention to aviation development. It is a catalyst for socio-economic development, for expansion of businesses, for providing connectivity to businesses and people with global community. If you want to sell products, you want to move people, you want to integrate cultures and cultural exchange, you have to pay particular attention to aviation. In fact, we have spent the past three years trying to promote to all our developing states the importance of aviation and to ask the government to ensure that aviation development is at the core of National Development. It is part and parcel of National Development. It should no longer be seen as some see it as something for the elite. It is s mass transit system and without it you cannot move your perishable products, you cannot move your people. So, my advice to any government including Nigeria or Africa governments is that aviation should be prioritize in their National Development and it is a catalyst. The impact of aviation to the national economy is so huge, both in terms of direct and indirect employment, investment. Over 54 per cent of global tourism is conveyed by aviation. One third of the goods and services by value is moved by aviation. All the countries that have made significant improvement in their economy have very strong aviation industry. Intra-connectivity within Africa airspace is not good enough. What can they do differently? Aviation intra-connectivity in Africa can do better. At a personal level, it is a difficult subject for me to discuss, because I was one of those who negotiated the Yamoussoukro Decision for Africa in the 90s. Unfortunately, that very important liberalization document has not been fully implemented. And it was aimed to liberalize the movement of people in Africa. Although, there are some constraints, a very difficult visa regimes, tax regimes that makes movement of people to be difficult. It can be improved upon for its size as a continent. Aviation in Africa can do better and Africa states can participate more equitably in international air transport. How do you see the desire of Africa Union to adopt Single passport for the continent? The passport that everybody carries, whether you travel by air or you just hold the passport to cross land border, the standard specifications are determined by ICAO. This is one of the responsibilities we assume on behalf of the international community on behalf of United Nations. We developed the procedures for machine readable travel document, which is the cap you see in your passport when you travel. We have also developed the specification on the development of e-passport with respect to the electronic passport. 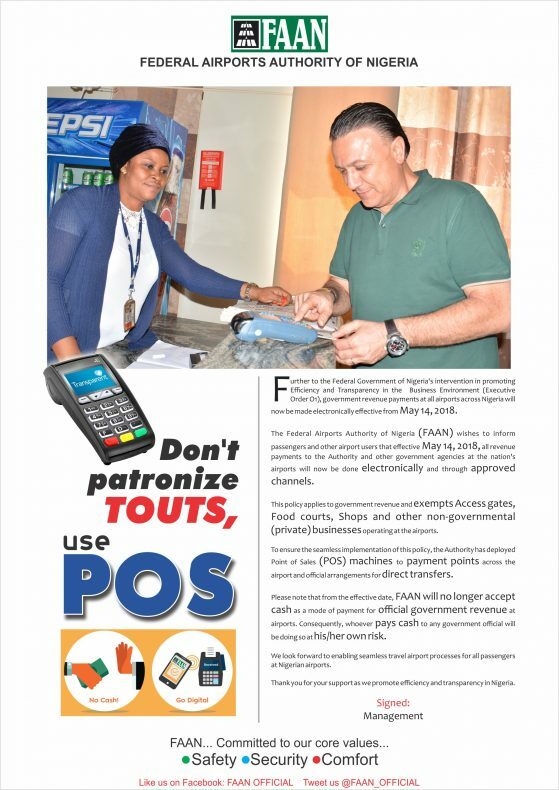 We have a number of states in Africa that are issuing e-passport now, Nigeria is one of them. Nigeria is a member of public directory, that is managed by ICAO. We have reached out to the African Union that in the development of that African Union passport, they should ensure that the passport is issued in a manner that meet the international specification. Otherwise, the project will not succeed and we look forward to support them in that regard.